Whitchurch(Shropshire) Hockey Club will be joining over 125 clubs across the country in a national Back to Hockey campaign. We welcome you to join us at our Back to Hockey sessions for men and women which will run from Saturday 8th September 2018 for 6 weeks with no commitment just turn up when available and its FREE! Don’t worry if you’re nervous or don’t remember any rules our Back to Hockey coaches will gentle guide you through this series of fun and friendly sessions. If you would like to take part in Back to Hockey sessions contact secretary@whitchurchhockeyclub.com for further details. We provide all equipment but recommend bringing shin pads as supplies are limited. When – Saturday mornings from 10.00 to 11.30. I was looking for a way to get fit without going to the gym, which I found boring. I saw Whitchurch(Shropshire) Hockey Club were advertising Back2hockey and I thought this would be perfect, training with company. I had not been on a hockey pitch for over 30 years (they were grass back then!) so I went along. 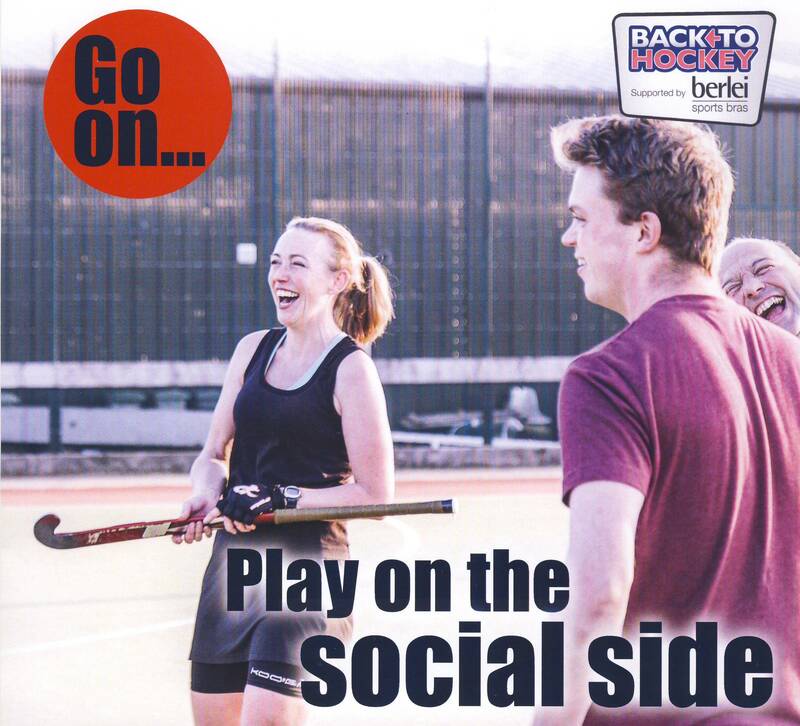 I attended the Back2 hockey sessions and really enjoyed them, there was a fun atmosphere and everyone was really friendly. I decided to join the club but did not really want to play matches as I did not feel confident. I was told the only way to get confident was to play and before I knew it I was playing for the club. I have just completed my second season and I have enjoyed every moment. We have a great range of ages in the club and the more experienced players always give advice (much sought after) to the less experienced players. There is a great club atmosphere with at least a couple of meals out during the season and numerous social events. More information can be found on Facebook/EnglandHockey and Twitter @englandhockey. 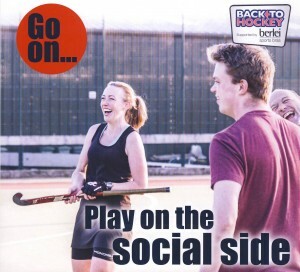 Look for Tweets with the hashtag #backtohockey , or check out England Hockey’s page for extra information. We also have some inspirational photos for ladies’, men’s and mixed sessions that you can print out and share with your friends, family and colleagues to get them inspired too! “When I heard about the Back2Hockey initiative almost two years ago, I was enthusiastic to hear about the opportunity. Like clubs of any description, there is always the apprehension about turning up to a training session and being thrown in at the deep end, pitting your wits against other members who seem like relative professionals. Will the club suit me? What do I need to pay? What if I don’t like it? What if they all think I’m rubbish and laugh behind my back? However, Back2Hockey was a soft re-entry into hockey…. well when I say re-entry, maybe it was more of an entry as I reckon the last time I played was over 25 years ago, but hey, I gave it ago. The Saturday morning sessions provided an opportunity to see if you enjoyed using a stick and ball, and the only challenge was against your own expectations. Certainly meeting people of a similar apprehension made things easier. I can’t remember how many weeks the Back2Hockey scheme ran for, but after 10 weeks or so I wanted to play and was poised to pay a joining fee, seeing this as a way of committing myself to a sport and to a club. The season then started and it was great to commence training, joining in with a mix of both seasoned players and some new friends from the Back2Hockey initiative. Soon we were playing games in the fathom team and I became hooked again. The camaraderie is great and although it is a cliché, it is the playing more than the winning that counts… actually, that’s a lie, we love to win now. Finally, the worry about them laughing behind your back, that’s not there, we just laugh in front of each other now”.